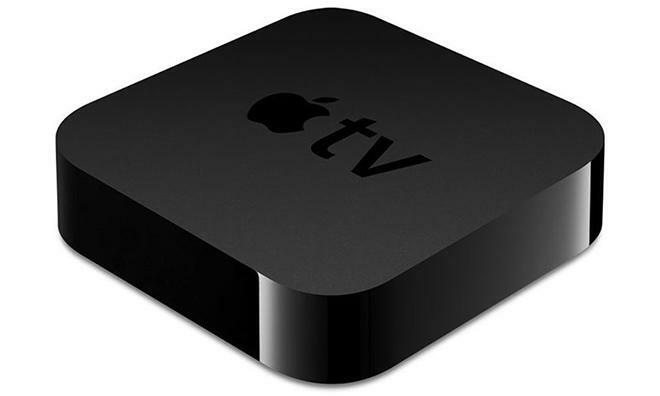 Though the Apple TV does not yet have an official App Store, Apple continues to expand the content available on its set-top box with new channels from third-party content providers, while behind the scenes it is hiring new personnel to ensure those partners are providing end users with the best possible experiences. Apple's efforts to ensure that streaming video content from third-party providers on the Apple TV remains of the highest possible quality have led the company to advertise a handful of new positions on its development team this week. Two positions in particular discovered by AppleInsider show Apple's extensive quality assurance efforts with regard to smoothly streaming video around the world. The first position for an Apple TV "Content Partner Engineer" seeks a candidate who will "provide technical support to external vendors as they integrate their content" on the company's set-top box. This person will evaluate partners' video streams, and serve as a liaison to Apple's own internal video groups to help fix issues. Apple's efforts go beyond picture quality, however, as this person will also need to review the user experience on third-party Apple TV channels. Together with Apple's internal design teams, they will provide feedback to these partners on their Apple TV apps. Efforts to bolster the Apple TV team come as Apple is believed to be working on a greatly enhanced next-generation version of its set-top box. The candidate will also solicit feedback from vendors as to potential future features that could be included on the Apple TV platform. And the liaison will also report vendor progress and track issues until they are resolved. The second opening for a "Software QA Engineer" on the Apple TV team requires a person who can work with both third-party content providers and Apple's own engineers to "diagnose defects in content and software." Also hinting at expanded third-party support is another newly-advertised position by the iTunes Store Apps project management team, which seeks an "exceptional software project manager to join the Apple TV team." This "Engineering Project Manager" will be expected to coordinate among not only the Apple TV team, but also with external software and hardware engineering teams. Finally, a trio of other Apple TV software engineer positions were also listed by Apple in late January. While those listings offered fewer specifics on what the roles might entail, they still suggest that the company is looking to bolster Apple's living room presence, which has famously been upgraded from a "hobby" to an area of "intense interest." Just last week, Bloomberg reported that a new Apple TV is set to be unveiled in April, though the publication suggested that the device may not actually hit the market until this fall. A months-long wait between the product's announcement and actual launch would be reminiscent of both the first iPhone and the first iPad, which were unveiled well before their actual sale date. If the report proves accurate, it would suggest that the next Apple TV is a greatly changed platform from the current set-top box —one which may require months of time for third-party developers to craft their own applications for the new device. Another report from January suggested that a third-party App Store and Bluetooth game controller support could come to the Apple TV as soon as this spring. Such features could theoretically be capable with the current-generation Apple TV, though it is limited with just 8 gigabytes of internal storage. Observers have big expectations for Apple as 2014 continues, with rumors of a new Apple TV and a so-called "iWatch" gaining steam over the past few weeks. Earlier this month, AppleInsider discovered a reference to "new platforms as of now unannounced" in an Apple job listing for a new engineer, suggesting the company is working on an entirely new platform beyond the iPhone, iPad and Mac.